In my current book project, Unsettling Biomedicine, I suggest that biomedicine is a valuable site for understanding the historical relationship between indigeneity and capitalism. Certain economic activities, particularly those that are highly profitable, have often been seen as incommensurable with the maintenance of authentic Indigenous identities. My research demonstrates that this debate, usually framed in terms of law, land, and culture, has been fundamentally shaped by biomedicine. In Alaska, where the preservation of Indigenous self-determination has depended upon continued economic success, debates surrounding the impact of capitalism on physical, mental, and spiritual health have had particularly high stakes. Over the course of the Cold War, a wide array of historical actors -- including Indigenous political leaders, biomedical researchers, public health officials, medical anthropologists, and Alaska Native healers and laborers -- made claims about who could or should determine the practices and values that shaped biomedicine in the Far North. In doing so, they articulated a complex and often contradictory set of visions for Alaska's economic and political future and for the role biomedicine would play in it. Cold War biomedicine, I argue, not only produced biomedical knowledge in colonial spaces, but structured the relationships between institutions of research, care, and ethics in ways that have profoundly impacted how contemporary biomedicine enrolls individuals as patients and subjects. In my second project, North to the Future, I explore historical moments when the international health community came to view Northern health issues as urgent and Northern expertise as valuable. I use temporality as a frame of analysis to consider how the Far North has been variously framed as a site to search for and preserve the evolutionary history of mankind, imagined as a future frontier for development and modernization, used as a laboratory for innovative technopolitical healthcare delivery projects, and treated as a barometer for imminent ecological disasters, which are expected to have devastating impacts on human health. I use this project to intervene into a growing body of scholarly literature that has tracked how circumpolar environments have been rendered in temporal terms – as otherworldly in their slowness or precipitously fast in their descent toward catastrophe – and demonstrate role of biomedicine in fashioning these ideas. In this article, Marco Ramos and I explain how physicians—in the 19th century and today—have worked to build public confidence in vaccination in an American culture suspicious of medical expertise. You can check it out over at the American Journal of Public Health. Historian Andrea Rusnock also provides a thoughtful editorial to accompany the piece, which elaborates on humanitarian and financial aspects of vaccination in American History. Jeremy Greene and I explain the role that NASA telecommunications satellites played in the development of systems of rural healthcare in Alaska. My thoughts on the 2016 Native American and Indigenous Studies Association Annual Meeting for the History of Anthropology Newsletter. My review of Rose Holz's fascinating study of birth control clinics sites to understand the entanglement of business and charity for The Canadian Bulletin of Medical History. 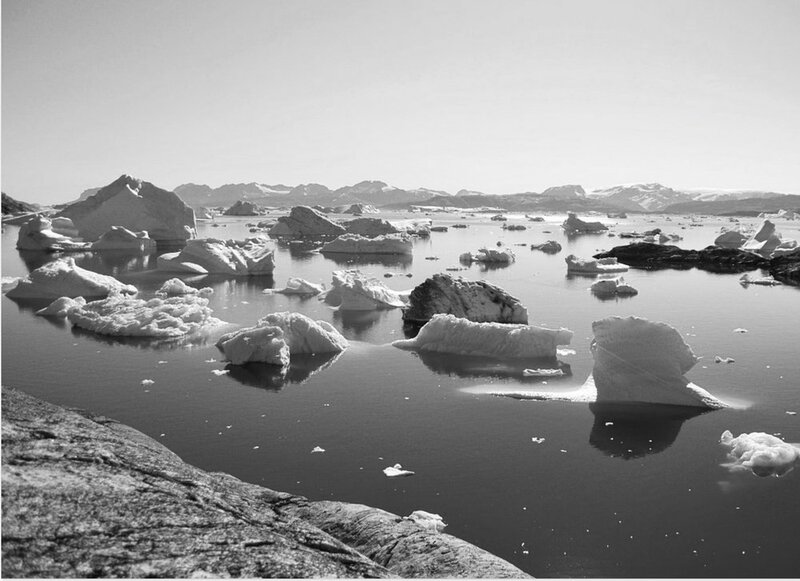 This chapter, which appears in the volume Cold Science: Environmental Knowledge in the North American Arctic During the Cold War, explores an alliance between Alaskan and Siberian medical researchers that aimed to both ease Cold War tensions and to instrumentalize indigeneity and circumpolar Indigenous peoples in pursuit of biomedical knowledge. This piece, published at Somatosphere, describes my attempts to engage ethically with Indigenous communities and reflects upon the broader set of obligations that come with historical work. My review of Marisa Elena Duarte’s Network Sovereignty: Building the Internet Across Indian Country, a fascinating look at the ways that Indigenous communities in the United States use information and communications technology’s to extend their sovereignty, is available in Technology & Culture. Sarah Pickman and I co-edited a series of papers at Somatosphere, which are drawn from a conference, titled "Critical Histories, Activist Futures: Science, Medicine, and Racial Violence," that Sarah, Marco Ramos, and I co-organized at Yale University in February 2017. The conference brought together historians, anthropologists, health practitioners, scientists, and local community activists to discuss the role of activist scholarship in confronting the ongoing injustices present in scientific research, healthcare practices, and academic institutions.